One of the things that I get asked about a lot is the equipment that I use for the various types of photography that I do. Remember when you are going through this collection of gear that I am basically self-taught....the guys who really know how to make the magic happen could probably do more with less. But...this is the stuff that I use. And.....this list changes often....I suffer from a touch of Obsessive - Compulsive Disorder.....I sometimes become fixated on a new piece of equipment and then find a way to acquire it. I almost never get rid of anything so.....this list will likely never get shorter. I'll start with camera bodies. I currently have three, each a step-up from the one that it replaced (or the one it joined, as it were). I collect old cameras and camera equipment.....but I am scoffed at by "real" photographers when I say that I never spent much time working with film cameras. I'm honest....I wish that I had learned when I was younger. I would be getting much better, more consistent results. 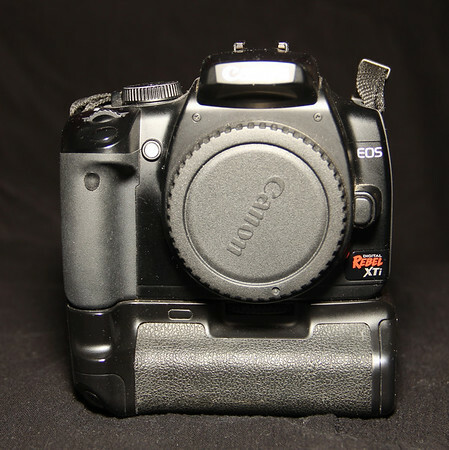 My first dSlr was a Canon Digital Rebel XTi, a 10.1 Megapixel workhorse that I bought as part of a kit that also included an 18-55mm lens and a 70-300mm zoom lens. I did a TON of shooting with that thing.... somewhere around 100,000 shots the first year I had it! I added a couple lenses to my collection (you'll see those later on) and did some self-teaching. This is a great camera to learn on; and I like to think that I learned a lot. It was tough to get used to not having the ability for live viewing on the LCD....everything that the user sees is through the viewfinder. Now...I love this aspect. At first....HATED it! I guess that comes with growth. 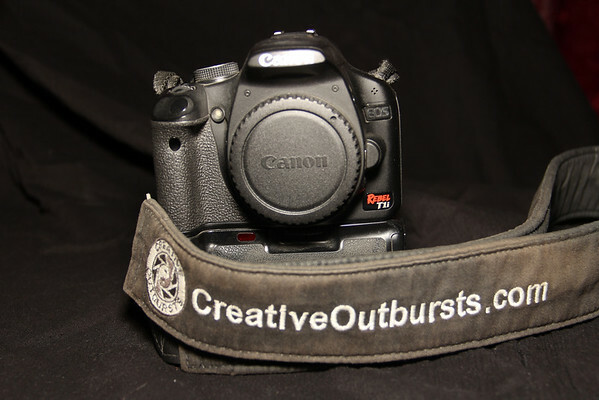 It holds two batteries (shoot twice as long) and it really helps balance, especially if using a heavy zoom lens. When it was time to replace the XTi (I used it A LOT for three years and it wasn't always consistent anymore) I knew that I wanted something a little better....and it was going to be made by Canon. One great thing about "pro" grade cameras is that lenses are interchangeable (ie, the lenses that I used on my XTi will fit on another Canon body). After a lot of research I decided on the Canon T1i....a 15.1 Megapixel body with a 3" LCD which would come in very handy for checking shots to ensure focus. I love this camera.....and even though I have since added the next camera to my gear bag, it is still the T1i that I generally use. At least until I have more time to get used to the new one. I admit that I buy my camera bodies through an electronics superstore....it's not that I don't want to support local Vermont retailers....but I can't afford to buy outright and the 18 months with zero interest is to good to pass up! 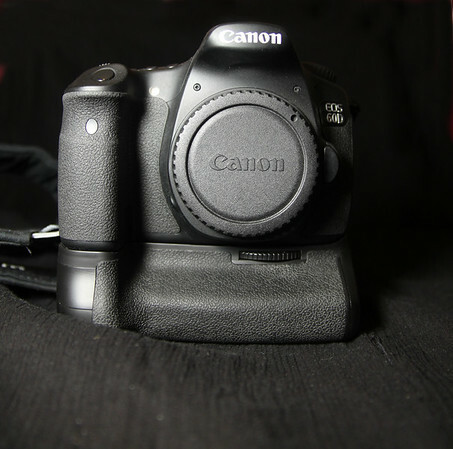 Within a couple months of getting the T1i paid off I bought a Canon 60D, which is a BIG change to the last two I have used. 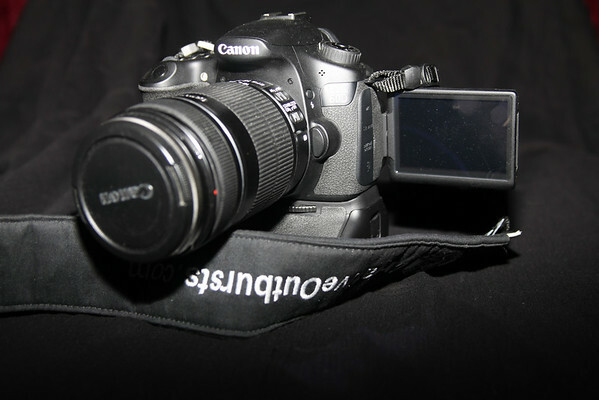 It is considered on the lower end of "Professional" where the XTi and T1i are probably considered "ProSumer" models. Meaning.....more for the hobbyist. I know that I got some great results out of both and think this is bull. Check out the articulating screen on the 60D....this is perfect for composing shots from awkward angles! Did I need the 60D? No....but since I have been shooting Portrait Sessions, etc I felt that it was important to have two good, consistent cameras in case of failure. The XTi didn't necessarily fit that description anymore, so that meant buying something new. I will say that there have been a couple of occasions where having the second body has saved me a BIG headache!